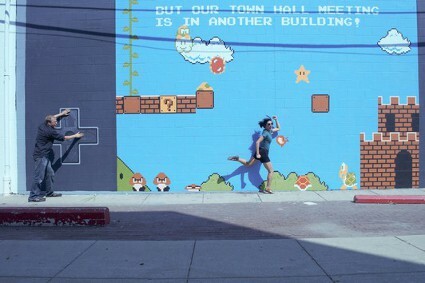 12 students from the Columbus College of Art & Design in Columbus, Ohio (who were probably infants when the NES first came out) spent 8 days creating the 16′ by 38′ interactive mural as an advertisement for the college’s first Town Hall meeting of the year. 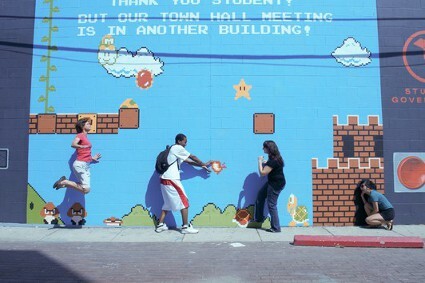 Why they chose Super Mario Bros. as their attention grabber to get people excited about student government is beyond me, but I foresee many, many drunk art students posing for inappropriate photos at the mural around 3am and personally, I welcome it. 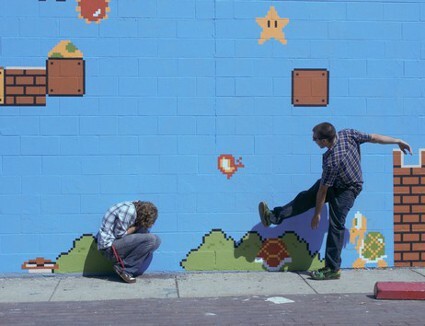 After the break you can see some pics of the mural and start dreaming of a Nintendo-based road trip to Ohio. CONVERSE Makes SUPER MARIO Chuck Taylors!